Operating a bank today in the U.S. is tough. Operating a small bank is even tougher, especially in a post ­2010, Dodd­Frank and Consumer Financial Protection Bureau (CFPB) era. 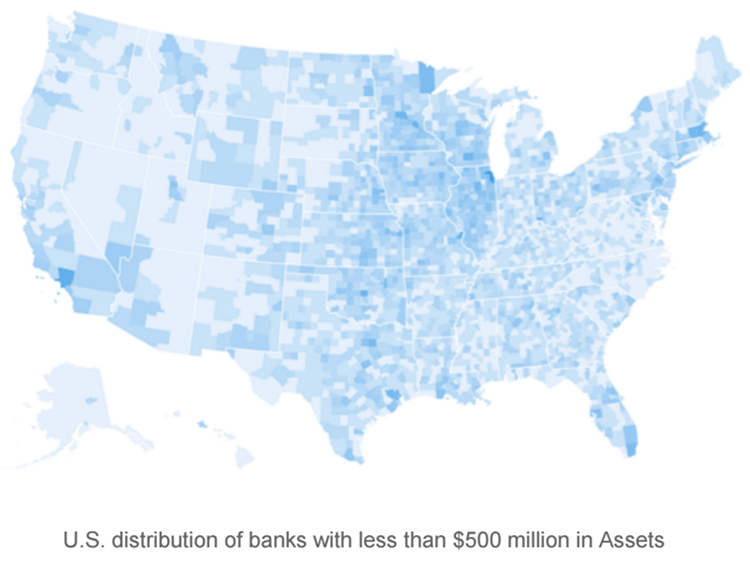 In the U.S., 78 percent of all banks in the U.S. are “small,” with less than $500 million in assets. These small banks are at the heart of communities throughout the U.S., powering the local economies and the many small businesses that operate in them. Based on the most recent FDIC Community Bank Performance report for the fourth quarter of 2015, community banks are outperforming non-­community banks on several key operating metrics, including net operating revenue growth and net interest income growth. These last two—regulatory compliance and technology—are the most pervasive challenges for community banks and credit unions. Wearing multiple hats, keeping pace with regulatory changes and the pressure from CEOs and board members to keep the bank examiners satisfied often leads to overworked employees who think they need to pull off the impossible every day just to keep their heads above water. As an example, consider that a typical community bank may be required to maintain as many as 50 individual, up-­to-date documents covering bank policies and regulatory compliance procedures, including IT security policies, mobile banking security policies, CEO succession policies and social media policies. As the lone compliance officer for your community bank, this all falls on you. 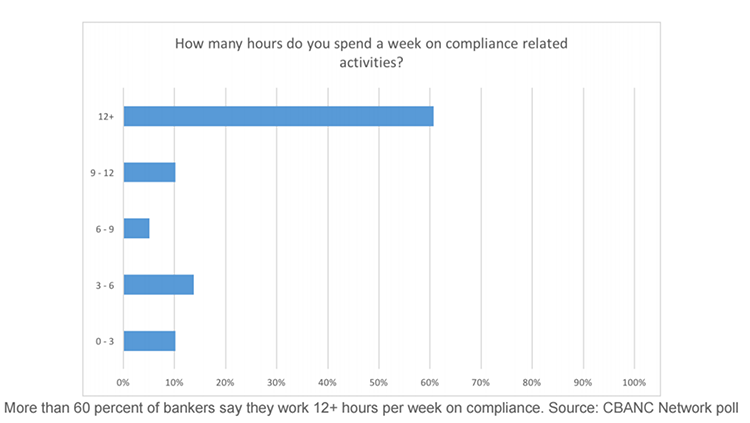 While small banks are worrying about regulatory compliance, they’re also working hard to keep up with the vendor community and the latest technology. They’re constantly looking for the latest products and players to give them a competitive edge with larger banks, which operate nationally, as well as peer banks and credit unions, which compete locally. The unique needs of millennials, a rapidly changing mobile payments landscape, blockchains in B2B transactions, more sophisticated fraud vectors and competition from non­traditional “banks” such as Uber all create another kind of pressure for small banks that, once again, typically lack the resources to stay ahead of the fintech revolution. Consultants can help with vendor research and vendor selection, but also come with a price tag that hits an already stressed operating budget for a small bank. Compliance pressure and vendor/technology pressure are related in an interesting “damned if you do, damned if you don’t” tradeoff. On one hand, investing in the latest technology can give a bank a competitive edge. However, doing so inevitably brings increased regulatory compliance oversight and more red tape—more documented procedures, more policies, more compliance costs. So what is a small bank to do? Many small bank CEOs are throwing in the towel, and bank mergers could hit the highest level in a decade this year, according to Rafferty Capital analyst Richard Bove in an interview with CNBC earlier this year. But other small banks are starting to do something else. They’re starting to help each other. Community banking operates in a highly local competitive sphere. A community bank in Twin Bridges, Montana, doesn’t really compete with a bank in Milton, Florida. That fact opens the door to collaboration opportunities that may not exist in other industries. It’s also creating an opportunity for bankers to do something unique to solve problems they face at work. Bank professionals are now turning to online social networking for help. Bankers are getting social. Yes, but I’m not talking about sharing pictures of cats and kids or playing Candy Crush Saga during the workday. In fact, most online social networks are blocked at work for bank employees for compliance and security reasons. 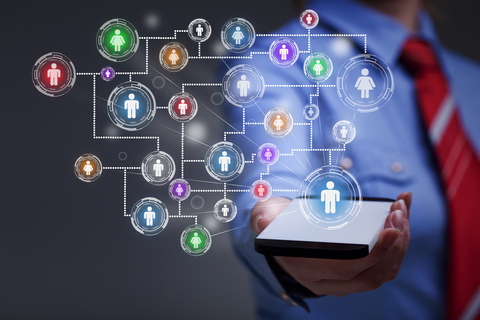 For the enterprise, “social networking” or “professional social networking” means connecting with the people who can help you gain some kind of advantage at work. And in banking, as well as other areas, there’s an emerging trend with online professional networks that is creating opportunities for rich engagement around a specific industry or job function: the online vertical professional network. Stay tuned for Part II of Bankers Get Social, a four­-part blog series written by CBANC CEO Bryan Koontz.